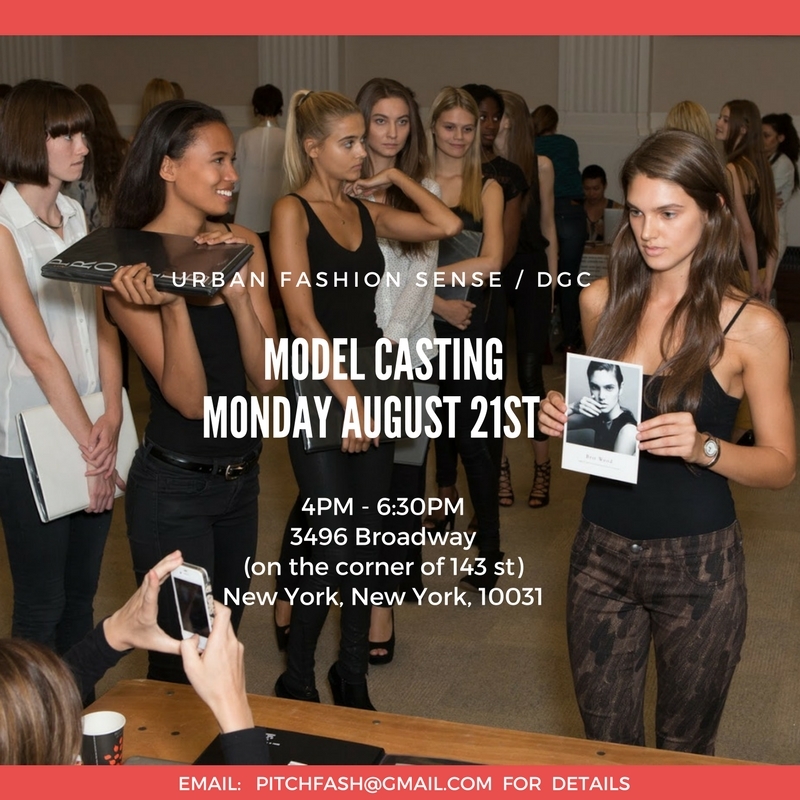 Aspiring Models looking to get their feet wet and would like photos for their portfolios and social media profiles should join us on August 21, 2017 at Solace Bar & Grill in Upper Westside Manhattan, New York from 4PM - 6:30PM. We'll be screening models for an upcoming apparel promotional project. Please note: There is no budget for this project at this time. We invite models (both female and male) who would like to build their portfolios and network. We look forward to keeping in touch with models who may not be able to make it and/or not chosen for this first project please fill out our screening form here. Fill free to also email URBAN FASHION SENSE at PITCHFASH@GMAIL.COM, should you have any questions.